In “Isaac and Ishmael: The Origin of Middle East Conflict and the Foundation for Understanding Eschatology,” we examined the original enmity between Sarah and Hagar. We saw how Isaac and Ishmael inherited this same enmity toward each other, which has continued from that time and is playing out in front of us today. We were also introduced to the rather shocking claim that this enmity will climax in a showdown between an Islamic Antichrist from the line of Ishmael and a returning Jesus Christ from the line of Isaac. If this is true, we should expect to find supporting evidence in Scripture. Where in the world will the Antichrist rise to power? Why couldn’t Daniel understand what he was shown? He couldn’t understand because these things were sealed up from full understanding until the end time. Many will search “back and forth” through the pages of his book and will begin to fully understand what it means because God will begin to unseal it. It will be the right time in history. What this means for us is at least some if not most of the interpretations prior to its unsealing are necessarily incorrect. Think on this for a while, please. We have been trying to understand a book that God has sealed from full understanding until the right time. In addition to this, we think we understand it! And what has been the popular understanding of Daniel’s book until now? The popular view has been that we should be watching for a European Antichrist from a revived Roman Empire. Consider these as part of our updated prophetic operating system, which will allow us to receive the full benefit of end-time Bible prophecy. While we explore chapter 11, don’t worry about the four beast kingdoms in chapter 7. Don’t worry about King Nebuchadnezzar’s dream in chapter 2. Don’t worry about Daniel 9:26, the verse most used by those who teach a revived Roman Empire. God willing, we’ll get to those things later to see how they all fit. What we’re going to do is just sit back and listen to Daniel tell the story and, by doing so, we will see that Daniel’s book interprets itself. Please take a moment to read through chapters 10-12 before we continue. It’s Daniel’s last vision. I like geography because geography doesn’t lie about the location of prophetic events. I’m not suggesting prophecy teachers lie, but you get the point. When applicable, prophetic geography outweighs any interpretations or traditions about the location of things we might bring to the text. The Bible is an Israel-centric, specifically Jerusalem-centric, Middle Eastern book. This has been something very hard for us as Westerners to wrap our minds around. It was written in the Middle East and it’s about Middle Eastern people. I don’t mean it doesn’t have spiritual truths for us or anything like that [Romans 11:17]. What I am saying is that all of the geography in end-time prophecy is in relation to Israel. In other words, the action directly surrounds Israel [Joel 3:11-12]. We have to train our minds to migrate away from a Western-centric (or what some might call an ethnocentric) view of Bible prophecy to an Israel-centric view. According to God, Israel is the most important nation on the earth not the United States of America. We need to have a working knowledge of the places the prophets wrote about in their visions at the time they were having them in order to have a right understanding of prophecy. These places can be found in the Old Testament prophetic books and we often skip right over them. Upon the sudden death of Alexander the Great in 323 B.C., some of his generals rose to power and broke up his kingdom [11:3-4]. Daniel 11 highlights the exploits of two of these generals. Daniel names them the king of the south [11:5] and the king of the north [11:6]. Where is this north kingdom? A good study Bible will identify these areas for you. 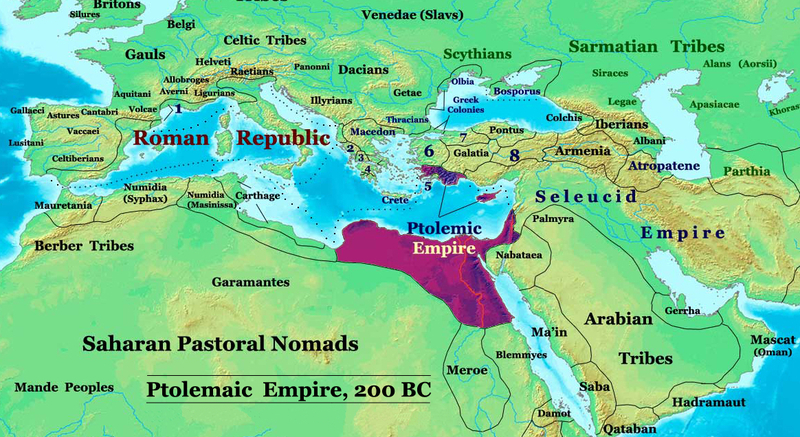 The Ptolemaic Empire included parts of modern-day Egypt, Libya and Sudan. 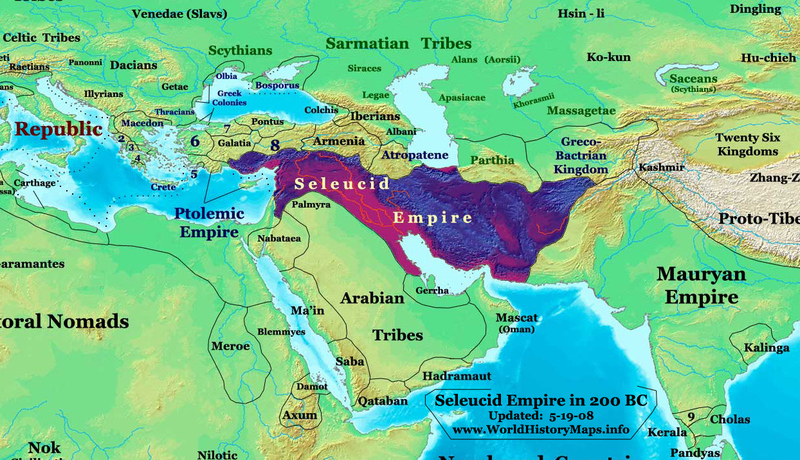 The Seleucid Empire included parts of modern-day Turkey, Syria, Lebanon, Iran and Iraq. By highlighting the exploits of these two kings/kingdoms, Daniel is keeping our attention on the Middle East. By naming the Antichrist the king of the north, he is telling us he will rise to power in the same area as the previous kings of the north, which are types of the Antichrist. Daniel says the Antichrist will rise to power in an area, a kingdom, encompassing parts of modern-day Turkey, Syria, Lebanon, Iraq and Iran, maybe others. From here forward, I may refer to this area only as Turkey or Turkey et al which means Turkey and others. 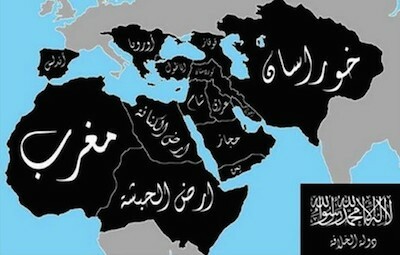 As we can clearly see, this area is not in the West but the Middle East. After 9/11 we have become increasingly aware that this area is not occupied by Atheism or Catholicism but Islam. This also suggests that this area will once again be united as a single kingdom just as it was in the days of these kings before the Antichrist will make his appearance, seize it [Daniel 7:24] and eventually rule the entirety of the Middle Eastern Islamic Kingdom, or Caliphate, after defeating the king of the south. Where is the West in Bible prophecy? Everyone wants to know where the West is in Bible prophecy. There are a few references to the West and, remarkably, we can find two of them in Daniel 11, the focus of our study! This king of the north, a type of Antichrist, made a military move westward and was stopped by… wait for it… a Roman commander! In other words, this type of Antichrist was in direct military conflict with the West! Where did these ships come from? According to Strong’s Hebrew and Greek Dictionaries, the word “Kittim” denotes “the Greeks or Romans on the shores opposite of Palestine,” or Cyprus. Both the NIV and the NLT use “[ships] of the western coastlands” instead of “ships of Kittim.” Both the CEV and the NCV use “from the west.” Here, again, we have the West coming against the king of the north. Simply, if the Antichrist were to come from the West, ships from the West would come with him not against him. This also hints at the idea that the Antichrist will not fully control the entire world but that is the subject of another study. You can learn more about the near fulfillment of parts of chapter 11 from the notes of a good study Bible including the names of the various kings of the north. When we apply the basic hermeneutical rule of letting Scripture interpret Scripture, we find that Daniel identifies the geographic location of the Antichrist’s rise to power for us in chapter 11. It’s in the Middle East not Rome, Europe, America or anywhere in the West. Therefore, if the Antichrist isn’t rising to power in Rome, Europe, America or any other Western nation in Daniel 11, neither can he be elsewhere in Scripture. All of end-time prophecy describes the same events and the same conflict with the same end-time kingdom under the authority of the Antichrist. It’s time for the Church to stop looking in Europe for the Antichrist and leave the Vatican alone (if you’re Catholic, you’re probably wanting a high-five right now). It’s time for the Church to stop teaching that the next prophetic event on the calendar is the rapture. We’re watching the next events. What we’re watching take place today in the Middle East are the early stages of the revival of an Islamic Caliphate thanks, in part, to Western foreign policy that enabled and encouraged the so-called Arab Spring. Despite what we’re being told by the news media, the nations involved in the Arab Spring are in danger of being overrun by Sharia, not western-style democracy and there’s a good reason for this as we are identifying now. A most astounding irony is that the nation of the world that is most free from tyranny is showing itself to be the greatest enabling force for the development of the most tyrannical rule the world will ever know! Talk about a foreign policy blunder of biblical proportions! This also means Babylon in Revelation is not Rome, the Vatican, America, the United Nations or the West but is the geographic region that actually bears its name – the Middle East. By now you’re probably starting to wrestle with all of this. That’s good. I wrestled with it, too. It made me dig deeper. Though this one chapter in God’s Word more than suffices as evidence that the Antichrist will rise to power in the Middle East, don’t worry, we’re not going to rest only here. There’s much more to examine. Daniel 11:40-45 Two Kings or Three? Daniel’s Final Vision & the Antichrist – Why we may find a detailed description of the Antichrist beginning in Daniel 11:21 rather than 11:36. A History of the Commentary of Daniel 2:40 – See Appendix A for a complete story of the history of the commentaries of Daniel 2:40 over the last 18 centuries showing the rather flimsy foundation that the entire theology of a Roman Antichrist is built upon. NEXT >>> Is Ezekiel 38-39 a Pre-Armageddon Invasion of Israel? “PROPHETIC GEOGRAPHY.” Don’t think I’ve heard that phrase before. Great handle! I’ll remember it, use it! Great article, lots of clarity and info. thank you, Judith. i coined that phrase in an attempt to make it easier for people to get a grasp on the importance of geography in Bible prophecy instead of reading over it and ignoring it like i did for so many years. by and large, the Church is paying the price for that now and so is our nation. Great post. I always thought the AC might be from the Middle Eastern leg of the old Roman empire, because one of his titles from the Bible was “the Assyrian”. He will be the first horseman of the apocalypse and his bow is associated with Ishmael. Genesis 21:20. One thing though – don’t rule out old gods from Freemasonry or the what the banksters plan to do. We will have massive inflation, worthless currencies and starvation due to their actions. So even if we don’t have the AC\Mahdi attacking us, we will have to deal with famine and God knows what else. I suppose that will be the third horse of the apocalypse. thank you. i’m glad you picked up n the Assyrian and i do agree. the governments of the world are under the influence of the Spirit of the Antichrist and so many are headed toward tyranny apart from any kind of influence from the religion of the Antichrist (Islam). but i would actually say that the West’s descent into tyranny will only allow this greater evil to thrive. we’re seeing it happen now. and the push toward a universal, ecumenical meshing together of all religions opens the door for the one that says all others must convert or die to dominate the world. Again, that is Islam. what each country does about Islam right now is of the utmost importance to how much of an effect the Antichrist’s kingdom will have on it in the future. either way, it won’t go well for Christians or Jews. If the bowman on the white horse is not the AC or Mahdi, who is he? If you believe the first horseman in the first seal judgement is Jesus – isn’t Jesus opening the other seals in front of the throne of God in heaven; where peace is taken from the earth, followed by famine, plagues and death, persecution, a geat earthquake and the wrath of God? So how does that work? Just interested. I agree with your question about the first horse. The book of Revelation is the unsealing of the book of Daniel. Daniel 7 speaks of the four kingdoms. At the end of these all the kingsdoms were given to the saints of the most high forever and ever (Daniel 7:27). Revelation 6 talks of the four horsemen and towards the end of those horsemen, I mean the fifth seal, the souls of those who were slain because of the word of God, and for the testimony which they held were given white robes (Rev.6:9-11). These were the 144,000 people which were redeemed from the the earth (Rev. 14:1-5). The first people to posses the kingdom forever and ever were these ones. They were the first to resurrect after Jesus. The second death had nothing to deal with them (Rev. 20:4-6). Take note, this event took place at the beginning of the seventh trumpent (Rev. 11:15). if you read carefully, the souls are the saints who were beheaded for Jesus, the 144,000 are the 12 tribe which is the 6th seal, Jews did not get beheaded for Jesus, also, He stated “that they should rest for a little season, until their fellowservants also and their bretheren, that should be killed as they were, should be fulfulled. Rev.6:11.
awesom study tho. i truly believe the antichrist will arise from Turkey. Isaiah says the Anti-Christ is an Assyrian.The Anti-Christ is said to come to power via the fourth beast in the last days per Daniel Chapter Seven. The Anti-Christ is also said to arise out of the Grecian empire in the last days, so how do we reconcile these different understandings ? This is established fairly easily, Daniel did say the understandings would be bound up until the end. The Anti-Christ in Daniel chapters seven and eight is shown, if read properly, to arise out of two kingdoms at once, but how can this be ? Daniel chapter seven is fairly straightforward, we understand this to be about the four beast systems, the fourth beast is where the little horn (Anti-Christ) will arise out of, most everyone understands the fourth beast to have been Rome, but in the last days/end times this has to be the European Union. Now Daniel chapter eight is explained in detail by Gabriel the angel, was the he goat (Alexander the Great) conquering Persia ( the Ram ) and Gabriel interpreted this dream for Daniel. Daniel 8:19 And he said, Behold, I will make thee know what shall be in the last end of indignation: for at the time appointed the end shall be. We should note, this is speaking of the end time, it is not speaking of Antiochus who came before Jesus was even born. The word Indignation means: ( Greek Word za’am meaning Gods Fury at Sin) so at the Last End of Indignation means right before Gods Judgment of Sin/Vials or Bowls of Gods Wrath (Revelation). This is clearly speaking about the end times/last days when the sins have come full/ bowls of Gods wrath, a fierce king shall arise out of one of the four kingdoms that stood up in Alexander the Greats Stead, speaking dark sentences (understanding Riddles and conundrums) and he comes to power. 24 And his power shall be mighty, but not by his own power: (Satan Possesses him) and he shall destroy wonderfully, and shall prosper, and practise, and shall destroy the mighty and the holy people. 25 And through his policy also he shall cause craft to prosper in his hand; and he shall magnify himself in his heart, (he claims to Be God) and by peace shall destroy many:(Through a Peace Treaty he deceives many) he shall also stand up against the Prince (Jesus) of princes; but he shall be broken without hand. Jesus destroys the Anti-Christ his kings and their armies without hand ( with the Sword of the Spirit/Holy Spirit) by the countenance of his coming, Amen. This guy magnifies himself and says in the temple of God, I am God !! Now, so many people say this is about Antiochus, so I always feel the need to prove that this is about the end times, when Gods wrath is come full. This is about the little horn/Anti-Christ. And he arises out of their kingdom in the last days, so in essence he arises out of one of the Four Generals kingdoms in the last days, but which one ? Well, since the Anti-Christ arises out of the fourth beast also, then this other Kingdom has to lie within the borders of the European Union. Only Cassander’s kingdom of Greece is in the European Union !! The “Assyrian” arising from Greece would be very, very possible since Greece shares a border with Turkey, and many, many Turks live in Greece, so the Assyrian Anti-Christ is born in Greece, and comes to power in Greece, then in the European Union. But what does John say in Revelation about the Beast that arises out of the Sea ? By the way, he was on Patmos, a small Greek Island when he saw this vision. The Main body is described by John as like a leopard !! Put it all together, the “Assyrian” Anti-Christ is born in Greece, of Turkish parents or grandparents , he comes to power in the European Union. This is where the Anti-Christ is from. Love you guys!!!!! I have believed this since around 2007. It’s so nice to see that God is unsealing Daniels’ pages now. Keep up the great work! Don’t get discouraged. I write for a page also about this information, and people are very hard headed about believing in Rome, America, Barack Obama, the Vatican, etc..as the Antichrist. It’s hard to come to terms with new understanding, especially if it makes you think everything you have been vested in is wrong. Many will come to this knowledge quickly, and thanks again. I am a fan!!!! that’s awesome. the fall of 2007 is when the Lord first began opening my eyes to these things as well. i’ve found one of the best and most effective ways to challenge people on this issue is to ask them this question: Can you find any nations Christ physically judges upon His return that are not located in the Middle East? Hey, what is your web site? I have a wordpress blog here if you click on my name it will take you there. Its called “Daily Prophecy Digest.” But, I am new to blogging, and am in the pricess if learning so my site is under construction until I learn this thing, lol. But I write for a fb page, but its not mine, and we are anonymous writers per the page owners rules. But my blog will be up and running as soon as I understand how to do it. Gbu!! Thanks for the reply! right on. listen, please come back and comment here to let me know when it’s up and running. blessings! I find this study very amazing, thank you. However, on the Vatican, we today are seeing the Pope trying to pull together a one world religion, called an Interfaith movement. We know that the antichrist will hv the false prophet by his side. I, as with many, believe that this will most likely be a Pope from the Roman Catholic Church. But again, for several years now, I hv believed, but could not prove it, that the antichrist himself would be from the middle east. i appreciate that very much! consider that the Bible doesn’t say we are awaiting an ecumenical meshing together of all religions into a one-world religion. you won’t find a verse like that. i believe that idea is a manmade construct. the Antichrist will have the help of a god of war and we’re hearing and seeing a lot about a god of war right now, aren’t we? that would be Allah, or Satan. there’s a difference between a one-world religion and one religion taking over the world. do you see what i mean? also, consider this study. it identifies the characters in Islamic end-time prophecy with the characters in Christian end-time prophecy… Do Christians and Muslims Both Worship God? Is Yahweh and Allah the Same Being? i was shocked when i learned about this. Yes near far prophecy the suffering servant Isaiah 53 the king messiah Isaiah 9 the government will be upon his shoulders . Great eye opener here and the teaching is rock solid as far as I could see , the only question I would have is he Vatican involvement because remember they’ll not only be anti christ but also a false prophet .. let us also remember this anti christ will speak as a lamb so even before this agression we should see some sort of diplomatic ongoing til he has the trust of the world at large and of the Holy people Isreal … then I believe this aggression will take place . Who is the false prophet then? I dont know but interesting that the papa was just in Turkey the place you have identified as the anti Christ’s geological place . Could it be that a Chrislam revelations 17 could play into the Babylon mystery of harlots represented by supposed true followers of the one true God following anti christ ..the great apostasy including the covenant made with death by Isreal which will be canceled by God almighty because his covenant was an eternal one?? Just thinking out loud ..
Hi P2alm. Very well written and researched article. The one thing I struggle with myself is what is sealed and what isn’t sealed in Daniel? If the scroll in Revelation 6 is Daniel (my opinion) the seals don’t come off until the horsemen ride. If it isn’t what portion is currently unsealed? These are questions we all wrestle with. I’d be interested in your opinion. hi, Nelson. sorry about the delay (Christmas). i hold these things with an open hand but i believe we are about to watch the second seal be opened which will begin with an Iranian invasion of the Middle East. you can evaluate this view by reading Mark Davidson’s book “Daniel Revisited”. it’s on my very short list of prophecy books worth reading. here’s Davidson’s web site The Four Signposts. Daniel 8 tells us what will happen next… It’s Becoming the Consensus We Are Watching the Prophecy of Daniel 8 Beginning In Iraq. Would love to print your articles but there is so much dark ink. Do you have it in a printable format? THANK YOU!!! thanks for the question, Mary. at the bottom of each post there is a ‘share/print’ button. hover over the button and select ‘print’ and it should print out regular. it does for me. if it doesn’t, let me know and we’ll see what else we can do. blessings. You still did not mention where He, or it will come from? Confused. Thus he said, The fourth beast shall be the fourth kingdom upon earth, which shall be diverse from all kingdoms, and shall devour the whole earth, and shall tread it down, and break it in pieces. And the ten horns out of this kingdom are ten kings that shall arise: and another shall rise after them; and he shall be diverse from the first, and he shall subdue three kings. I am sorry, I hit the post comment button by mistake. I am using iPad and the screen is tight to type on. The ten horns of Da 7:23-24 are ten kings that are “out of” the fourth kingdom upon the earth. The word “out” is not in the Greek manuscripts, only the word “of”. The primary Strong’s definition for the Greek word translated into the English word “of” is listed as “from, out of”. This is a important distinction, in that one can easily envision the present situation where the various countries in the Middle East region are aligned with the end time world empire or kingdom. Turkey of course is a part of NATO and is aligned with the West and one might say a proxy of the West. A interesting set of verses pertaining to this well written article are in the book of Galatians. Agar is of course Hagar and the above verses are indirectly related to Ishmael but surprisingly enough associates Agar seed with the covenant of the law. The children of the flesh are not children of New Jerusalem, only the promised seed is the heir, Ga 3:29. New Jerusalem is the woman who brings forth the man child but is also the woman who is given wings of a great eagle who mentioned in Re 12:6&14. The following verse is interesting because of the words “remnant of her seed”, and what these words imply. Just a few thoughts that need to be considered when trying to understand how end time events will unfold. I ran across this article that explains something that bothered me for some time in regards to the Jewish calendar. Their calendar is a couple hundred years out of sync with where I thought it should be in regards to prophecy. The following quote explains the difference. And even now the explaination given at this site is somewhat confusing to me but it does explain why the Jewish calendar is off by a couple hundred years. I have seen 5790 often cited as the start of the 6th day, 2 Pe 3:8. I can’t help but see the four horsemen and steeds of Revelation as spirits sent forth across the earth — symbols of the final Satanic kingdom, Islam. Flag after flag after flag of Islamic countries all boast the colors of these apocalyptic horses: white, red, black, green. Those colors were even recently hoisted at the U.N. I think it’s illogical, poor exegesis to name ONE rider — the ominous figure on the white horse — without naming specific figures on the other three horses. When I see flags flapping their white, red, black, green colors — I see the personification of the final rebellious totalitarian ideology of the kingdom of darkness, galloping across the final pages of pre-Resurrection history. Now I can see the connection. Our world we live in is a mess. It’s all coming to an very soon. Get ready Christians. Our pay day is coming . This world is restless now. Lot of different things are happening to make us think more of our Christian beliefs. People are facing hard times with leaders of our states whether or not our jobs will be safe this coming year in different fields of work because money is running out in some states because of past due bills that can’t be payed because of 9 Billion dollars . Now the end time is very close every thing I’d happening in the Middle East is a reality . People get ready Daniel 11 is the road map telling us to get ready . Jesus is Coming Soon !!!!!! So it seems clear to me that we’re talking about the future by Daniel 11:33. What is not quite clear to me is the transition period of 21-28. I agree that the abomination that causes desolation seems strongly tied to the End timeframe, and therefore 21 onward must seemingly reference the Antichrist. That said, it also seems to fit very well with Antiochus’s reign as well. As the wording leads me to believe it is either one or the other, and Jesus indicates the Abomination mentioned by Daniel is in the future and part of the End timeframe, that precludes it being Antiochus, correct? That seems unfortunate considering how well it matches. Some are also entertaining the idea that all of Daniel 11 may be still future because 11:1-4 seem to summarize Daniel 8. If this is true, the detail is astounding.